This will require you accessing your own Domain Registrars Control Panel. 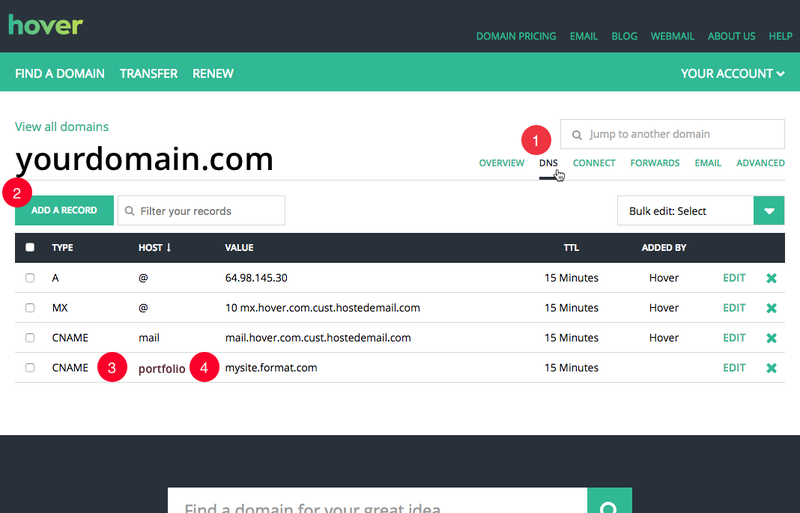 The CNAME record from your registrar sends a request for your yoursubdomain.yourdomain.com to Format. Add the value to be the Format Site Address you set in the previous step. 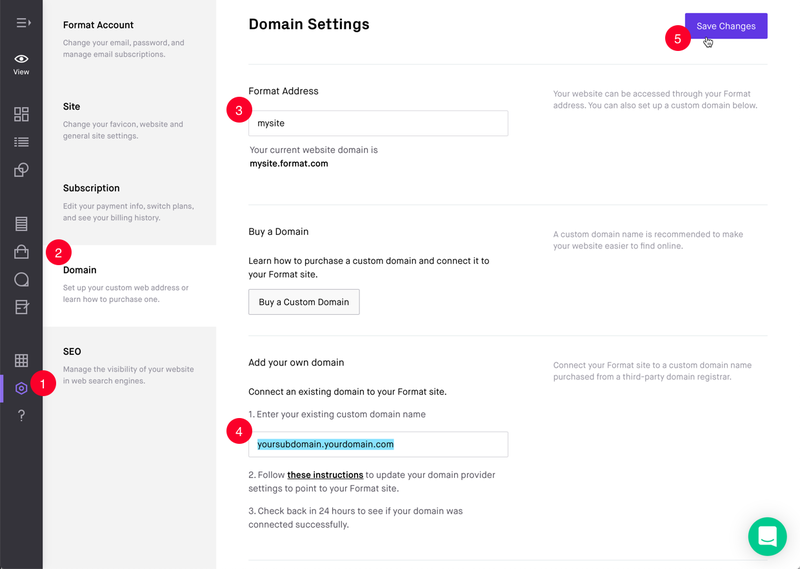 You will know that your domain connection is working when you enter yourdomain.com and your Format site loads with subdomain.yourdomain.com in the address bar.